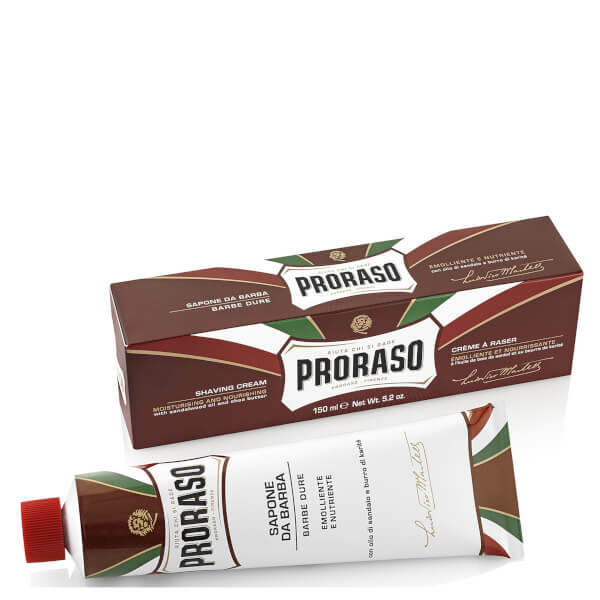 The Proraso Shaving Cream Jar - Shea Butter works up a rich lather that allows you to enjoy a close and comfortable shave, even if you have coarse hair growth. Formulated with an expert blend of shea butter and glycerine, it nourishes and conditions your skin, leaving it silky soft, whilst minimising the risk of irritation. - L.M. This is an example of how shaving creams should be. Whip it enough and it will give you super smooth and glossy lather. Smell is pleasant but not everwhelming. Definitely a future buy! This shaving cream works into a very silky lather with not much effort at all, giving a very comfortable shave. A pea size amount gives me enough for a 3 pass shave so it will last a long, long time as well. And to top it all off it has a very pleasant subtle sandalwood scent. I would recommend you give it a try.